UEFA proposals to change part of the Champions League format would be "catastrophic" for soccer but FIFA plans to overhaul the Club World Cup will be a boon for the sport, La Liga president Javier Tebas told Reuters on Thursday. Tebas lashed out at changes he said Europe's governing body is considering making to the Champions League, saying they would damage domestic competitions. 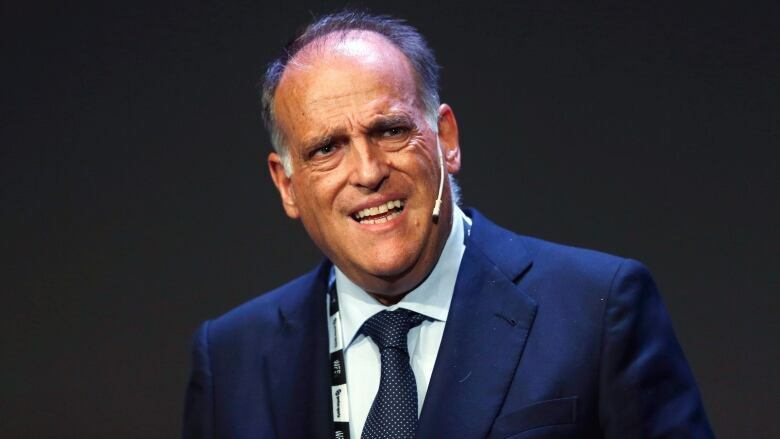 "UEFA and the ECA are negotiating behind closed doors so that the others don't know about the reforms which put national leagues in danger," Tebas said in an exclusive interview. "They are making reforms to the Champions League which are very dangerous for football. It's a model which is very damaging for national leagues and also for them, as they don't understand business." While he remains committed to taking domestic league games abroad to widen La Liga's global appeal, Tebas said his priority was stopping UEFA's proposed changes. "Playing a game in Miami is much less important to La Liga than the catastrophic reforms of UEFA and the ECA," he said. "FIFA has been transparent in the last few weeks and changed its position so we support them [in their Club World Cup plans], meanwhile UEFA and ECA are doing the opposite and we are very worried about that and don't support them." FIFA's ruling council meets on Friday in Miami to discuss and vote on president Gianni Infantino's plans for the revamped Club World Cup, which would take place in 2021, replacing the Confederations Cup. Tebas initially opposed Infantino's plan for an annual, expanded Club World Cup, calling it "irresponsible" last year. But he said the Spanish league and other major European leagues have radically shifted their position on it. "In the last year FIFA has made some changes and we are on the path to a good Club World Cup which fits well into the calendar and can be supported by national leagues," Tebas said. "It still needs to be polished but they are discussing distributing the money more evenly to smaller leagues and that's very important. FIFA have also been more transparent about it. "They've also committed to playing it every four years which affects national leagues a lot less." The tournament will take place between November and December rather than the traditional slot of June and July due to Qatar's scorching summer temperatures, which is set to disrupt domestic leagues across Europe and around the world. "We always opposed the change of the dates and now La Liga is preparing ourselves for the break in the season," Tebas said. "We also must decide what we do with all the players that are not going to the World Cup, of which there are many, not just in Spain but around the world and who didn't figure in decisions like this. "We'll have to wait and see what FIFA decides but in principle, we at the Spanish league are not in favour of increasing the number of teams at the Qatar World Cup or any World Cup."